This update includes a new world, Time’s Castle, based on the film Alice Through the Looking Glass. 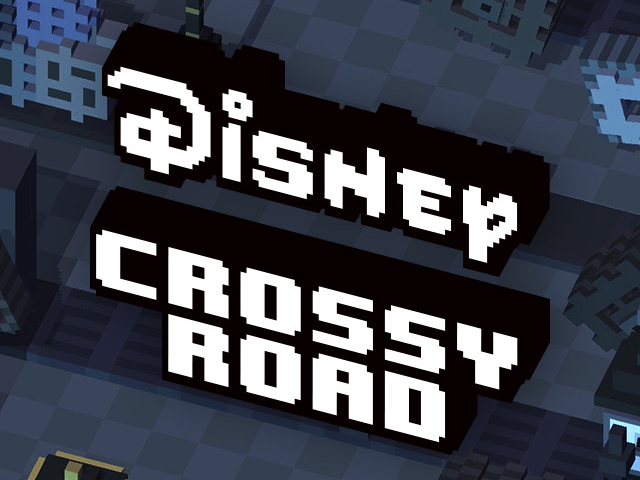 Disney released the latest content update for Disney Crossy Road on mobile, which adds content from Alice Through the Looking Glass to the game. This update includes a new world, Time’s Castle, based on the film Alice Through the Looking Glass. The world features 18 characters, including Alice, the Mad Hatter and the March Hare. Of these characters, 13 can be earned from the game’s prize machine, while five secret characters can be earned in other ways. Gamers will need to unlock one of these characters through the prize machine (or through in-app purchase) before they can play in the new world. While playing in Time’s Castle, users can collect hourglasses to earn bonus points. Collecting hourglasses will also charge an hourglass meter at the side of the screen. When the meter is filled, the world around the character will enter slow motion for a short time. During this time, users can collect additional hourglasses to earn extra bonus points. In addition to this new world, this update includes a new daily missions system, which allows players to earn exclusive characters over time, including one from Alice Through the Looking Glass. Daily missions challenge players to complete specific tasks within the game, such as, “Hop on six lilypads today.” Each time players complete six daily missions, they’ll receive an exclusive new character. In addition to completing a main daily mission, players can complete two secondary missions each day to receive gift boxes. Overall, the game’s latest update includes 25 new characters to unlock, with eight of them being secret. Disney Crossy Road is available to download for free on the iTunes App Store, Google Play, the Windows Store and Amazon Appstore.